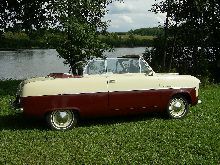 In order to add some "glamour" to the Ford range a convertible version of both the Consul and Zephyr became available in 1951. 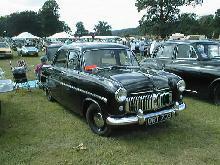 All Consul and Zephyr convertible bodies were built by Carbodies in Coventry and finished by Ford. 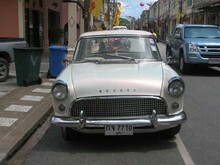 A special 3 position convertible hood was standard equipment and could be semi-power operated. 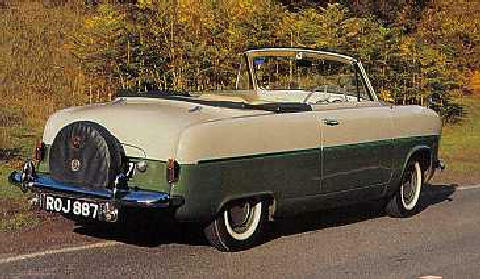 The first de ville hood position allowed only the front of the roof to be opened, the second lowered the hood completely in the normal way. 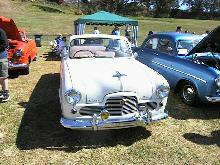 Mechanically the Consul Convertible was identical to its saloon counterpart. 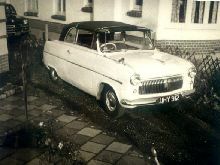 The standard specification of the Consul Convertible included the four cylinder 1508cc engine and all the other ground breaking features fitted on the rest of the Consul range. 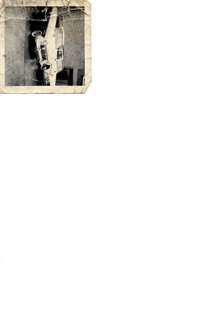 8' 4" 4' 2" 4' 1" 13' 10" 5' 4" 0 (0) 40' 0"